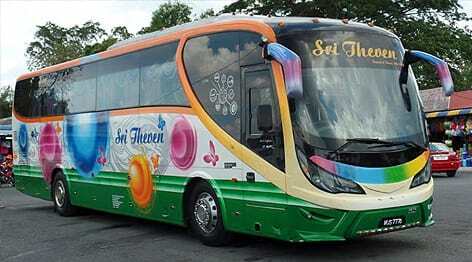 Sri Theven Express is one of the popular express bus companies based in Selangor, Malaysia. The company was first established several years ago and is steadily gaining recognition in the express bus industry as a key player for several destinations. Sri Theven serves various route services within Peninsular Malaysia. One of the most popular bus services provided by Sri Theven Express is a direct bus from Teluk Intan to Kuala Lumpur. The bus offers a pick-up point from Teluk Intan Bus Terminal (Terminal Intan) and a drop-off point at Terminal Bersepadu Selatan (TBS) in Kuala Lumpur. The fare for Sri Theven bus from Teluk Intan to KL is from RM 20.00, and the coach is deployed at 9.00 p.m. every day. Despite being a relatively minor player for this Teluk Intan to KL route, Sri Theven Express is dedicated to providing the best high-quality service to their passengers. 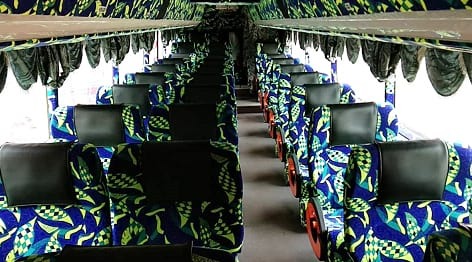 Sri Theven bus services run on its 30-seater express bus that comes with basic facilities such as air-conditioning system, spacious legroom, reclining seats, 2+1 seat arrangement and many more. With these facilities on board, passengers can have a comfortable journey to their destination. Besides the bus from Teluk Intan to KL, Sri Theven Express also serves a few other important routes to the northern and southern parts of Peninsular Malaysia, as well as the Malaysian-Thailand border. The other routes include buses from Sungai Besar and Teluk Intan to Hat Yai, Larkin, and Terminal Bersepadu Selatan (TBS). By joining BusOnlineTicket.com, everyone now can book Sri Theven Express bus ticket online without any hassle.